"Looking for that special man who's crazy matches my crazy." 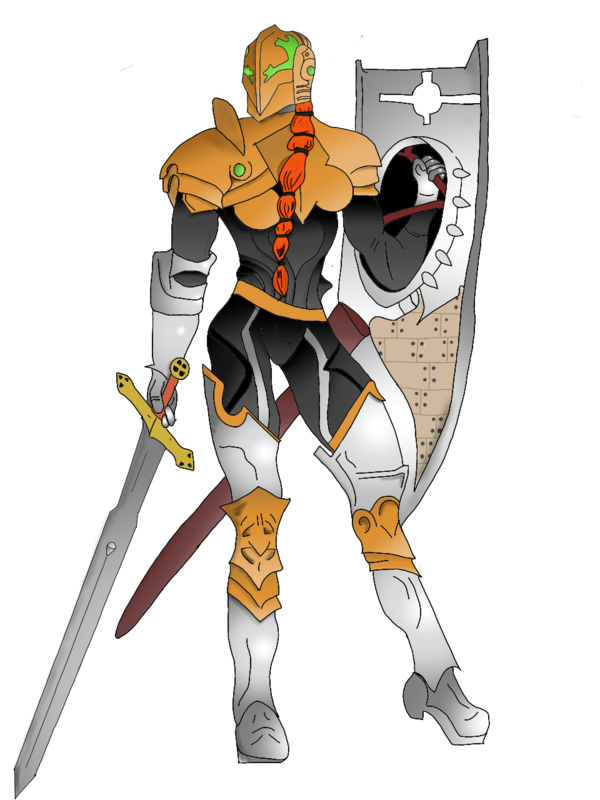 Mylliandra, or Mylli, is a 20ish something young women, with Calypso Orange with Blond highlights hair and peach like skin. I put no trust in divine beings. I am bonded to an evil inside me, compelling me to evil driving my desire to do good, in order to 'fight' against my lesser half. I talk to the evilness inside me, often out loud. By the condition of her skin, you gather that she's been on the "road" for somekind and has somewhat grown comfortable with the hygiene you expect from someone traveling all their days. Those who look into my eyes can see that I have faced unimaginable horror and that I'm no stranger to darkness. You do not get the sense that she's out to hurt you, or anyone for that matter, you also get the impression that there's something lurking just beneath her withdrawn exterior. When talking with Mylliandra, you get the sense that she is bent on doing "good" wherever possible, even seemingly being careless with her own safety in the pursuit. Mylli is no justice warrior however, she will not necessarily right an injustice simply because it's breaking a law, she generally needs to fully believe that the intent is inherently 'evil'. Mylliandra comes off as sheepish, or withdraw, as she uses her hair and other means to conceal her face at most times. Most people can only ever truly see Mylli for who she is when in combat - if they pay close enough attention. Mylliandra is actually an Protector Aasimar with Radiant Soul. When not using magic, hair or other means to cover her eyes has onyx black eyes. Commoners will extend you every courtesy and do their utmost to help you. Unless you have shown yourself to be a danger to them, they will even take up arms to fight alongside you, should you find yourself facing an enemy alone.